Fast approvals; quick as same day - We say YES! Rate and review Minute Loan Center - Baton Rouge 2 in Baton Rouge, LA, United States! 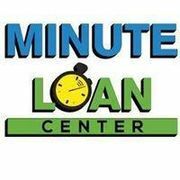 Share your experiences at Minute Loan Center - Baton Rouge 2 with your friends or discover more Financial Services in Baton Rouge, LA, United States.